In my previous blog I discussed common personal barriers to exercise and gave some suggestions to overcome these. Today I want to write about “place” barriers that prevent a lot of people from exercising and will make recommendations of ways to avoid these barriers. At FWL we want our patients to focus on getting more physically active and moving away from a sedentary lifestyle. I would like to challenge and encourage you to find ways in your day to increase your physical activities. For instance, one night last week after work I knew I was not going to have enough time to get my workout in and I had several “chores” to finish around the house. I decided to try to get a workout in while doing these thing. I performed lunges while mopping my kitchen floor. While putting away laundry I ran up and down the stairs 4 times and then would go to the next load of laundry and repeat again until I was finished with all the laundry. This really caused me to break a sweat! Here are some suggestions of things you can try while performing household chores: if you are pulling weeds outside, perform a couple sets of squats or lunges. Stop every once in a while and perform some jumping jacks or jog in place. These are just a couple of ideas to help increase your heart rate while performing chores around the house. Make the most of your day and be physically active every chance you get! Solutions: Find a safe place to walk. Try your local school and see if you can walk on their track when it isn’t in use. Go to the mall and walk briskly around the mall. You can go to a friend’s subdivision with sidewalks and walk there. Go to your local park and walk on a trail. Work out in the yard. Raking leaves, push mowing, washing the car, and pulling weeds are all physical activities that will burn calories while you are performing them. Solutions: Walk around the mall. Some malls have walking clubs, you can look into joining one. Join a fitness or community center. Find one that will let you pay as you go or pay only for the months you need to use the facility. Exercise at home, indoors. There are lots of great ways to exercise indoors; you can put in an exercise dvd and exercise along with it; walk or run up and down stairs for a minute and then take a break for 30 seconds and then resume running and continue performing these intervals as long as you can. If you don’t have stairs or exercise videos you can exercise during your favorite television program. During commercials get up and do something during the entire commercial break; you can march in place, perform jumping jacks, push-ups, sit-ups, walk through the house or anything that gets you up and moving. Make it a habit to get up during every commercial break and get your heart rate elevated. 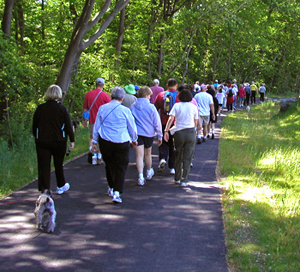 Solutions: Join a walking/exercise group. This will allow you to feel safe and have some company while you are exercising. Join a fitness or community center. This will be a public place with several other people and you may even meet people there you enjoying exercising with each day. Exercise at home. This allows you to exercise in the privacy and comfort of your home. You can perform exercises with dvds, you can turn on music and dance around for 20-30 minutes, or you can climb stairs or perform activities during commercial breaks if you are watching tv. The barriers discussed above can be difficult to overcome; however, I have made several suggestions that will hopefully help you get moving and performing more physical activities. You may be able to think of other barriers that limit your physical activities. I hope some of these solutions will work for you! 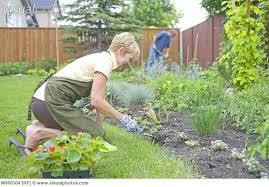 My next blog will discuss “health” barriers and solutions to these barriers. I hope you will check in for the next blog and my wish for you is to increase your activity and fitness levels! Keep working hard and striving to achieve your goals.